 First of all, let me extend my warmest thanks to all of you for being here today – allow me also to take this opportunity to express my best wishes for 2010 as the beginning of a new year should in principle bring renewed hope for a better time.  As last year, I decided to convene this meeting to update you on the Alliance of Civilizations issues.  Globally speaking 2009 was another year of endurance, marked by great violence, instability and permanent tensions throughout the world.  Several regions in various parts of the world – such as Gaza, Afghanistan, Sudan, the Great Lakes, Sri Lanka to name just a few – were ravaged by war, and many people around the world were hit by the economic crisis and unemployment, and faced increasing difficulties to ensure a life in dignity and safety.  It is fair to recognize that there are not that many fond memories to keep from 2009, apart the election of President Obama which brought new hope and generated high expectations worldwide.  Let me wish that 2010 and the new decade now inaugurated will be a time when we will see these high expectations turn into achievements!  Turning back to the Alliance’s UN initiative, I must say that 2009 was a year of smooth progress in various areas, a year when the Alliance grew in membership (it now has more than one hundred members), became firmly anchored in the international agenda and developed through its projects at local, national or regional level.  At the UN level, let me recall that in November the General Assembly adopted by consensus the first resolution on the Alliance of Civilizations under the item “A culture of peace”. Initially proposed by the two co-sponsors, the resolution was sponsored by 96 countries. This is good news.  The second Implementation Plan (IP) was submitted by the High Representative to Secretary General Ban Ki-moon on 16 June. It covers the period from June 2009 to June 2011.  This 2nd IP is focused on delivering the commitments made until now by advancing the ongoing projects and initiatives and creating the necessary conditions to turn these commitments into achievements.  Basically, it is based on the assumption that the political commitment towards the Alliance, notably expressed by Governments at the Istanbul Forum in April 2009, as well as the will showed by partners to be engaged in concrete projects, have to materialize and be translated into results during the next two years.  So the second Implementation Plan of the Alliance is a true Consolidation Plan aimed at strengthening the credibility of the Alliance and its ability to deliver, without undermining the chances for further progress in achieving the Alliance’s goals whenever possible. b. Consolidating the global scope of the Alliance and its universal perspective by deepening its regional footing in South America, Africa and Asia, notwithstanding the special attention to be given to the relations between Western and Muslim societies. c. Pressing forward the implementation of commitments stemming from the Istanbul Forum and making further progress in the Madrid outcomes. d. Addressing organizational and financial issues to make the AoC a sustainable initiative, both in terms of working structures and Trust Fund. e. Developing outreach through a more effective communication policy. f. Strengthening the role of Alliance a tool of soft power acting at preventive level and enhancing its role within a global partnership for peace.  To achieve these goals, committed and coordinated action across all sectors – governments, international and regional organizations, civil society and the private sector – is absolutely key through increased cooperation and partnerships.  So this second implementation Plan aims at strengthening the effective participation of governments and all stakeholders by improving cooperation and partnerships amongst them all, particularly within the framework of the ongoing projects and commitments made at the Madrid and Istanbul Forums, as reported in the Second Annual Report of the Alliance.  Let me repeat here, as I do everywhere, that as a global matchmaker, the added-value of the Alliance relies upon its ability to create synergies between the various stakeholders and in its capacity to create a dynamic platform for innovative cooperation.  The added value of the Alliance is its ability to build a multi-stake-holders platform with governments, different international organizations and the various players from civil society in order to implement joint initiatives and to give wider political and strategic coherence to the plethora of ongoing projects and programs.  This is why the main task of the Alliance for the coming two years will be to increase its networks’ participation by developing cooperation and partnerships with all stakeholders and to engage them in concrete projects.  The point where the Alliance can really make a difference is precisely in its results-oriented approach twinned with its mission as a global matchmaker and as a catalyst for joint action.  In this regard, let me stress the leading role that Governments can play in developing and implementing National Plans and Regional Strategies for Intercultural Dialogue. Moreover, international and regional institutions, particularly the UN system, have a key role in sharing knowledge and expertise and making available necessary resources to help shape appropriate tools and guidelines for policies of good governance of cultural diversity and for evaluation of progress.  Looking now at 2010, my priorities will be: firstly, to push for governments to pay increased attention to the widening rifts between communities within their national societies and to assist them in taking appropriate action; secondly, to scale up efforts to develop cooperation at regional level in order to properly address common challenges and problems; thirdly to further engage people – organizations and communities, but also individuals at grass roots level.  Regarding the first point, a simple reading of newspapers headings around the world clearly indicates that “cultural diversity” issues are on the table.  And this applies to all continents, from Europe to Asia, from the Americas to Africa.  I don’t want to seem pessimistic! But if you pay enough attention you cannot but realize that the increasing diversity of our societies – be it ethnic, linguistic, religious or cultural – is generating growing anxiety among populations, driving communities apart and putting democracies under mounting pressure.  Indeed, all around the world there are also many cases of cross-fertilization between cultures and religions, as well as success stories of people interacting in mutual respect and harmony.  However, over the past years economic, social, cultural and religious fault-lines that divide our societies have fuelled growing tensions among communities and have encouraged the misguided view that cultures are set on an unavoidable collision course leading to a clash of civilizations.  It is no longer possible to ignore that to bridge divides, overcome conflicts and promote better understanding among peoples we need to engage in dialogue. To counter stereotypes and misconceptions that deepen patterns of hostility and mistrust, we need to address the sources of tensions that contribute to driving communities apart.  In my view, it is crystal clear that tensions flare up when individuals or groups feel that their values and identity are under threat. Recent waves of migration, particularly in Europe, have often led to feelings of resentment and hostility against migrants. The success of many far right, anti-immigration parties in various elections in European countries as well as in the European Parliament elections last June are a clear sign of a growing malaise.  Tensions also arise when the rights of minorities and their place in society are at stake. Almost all societies in the world are confronted with the challenge of balancing the rights of cultural communities and the need to maintain social cohesion.  In times of intercultural tensions, it is important not only to uphold the rights of minorities who are often victims of harassment and discrimination. It is also crucial to make the case for migration and remind ourselves of all the benefits it brings to our societies.  But, in my view, first and foremost, it is absolutely key to invest in education for diversity, for cultural literacy and to massively engage in developing intercultural competences and skills not only among youth but also as a life-long learning process on how to live together.  As you know, the Alliance of Civilizations’ United Nations initiative is aimed at addressing widening rifts within and among societies, in particular the so-called West-Islam divides, by helping to mobilize concerted action toward policies for democratic governance of cultural diversity based on a paradigm of mutual respect among peoples of different cultural and religious backgrounds.  All findings unanimously show an increasing polarization in the way Westerns and Muslims view each other. Moreover, the so-called divide, opposing two fictional monolithic blocs, Islam and the West, fuels further stereotypes and polarization, and gives rise to extremism.  However, it is important to stress that the vast majority of peoples reject extremism in any society and support respect for religious and cultural diversity. Both Muslims and non-Muslims are concerned with the challenges of security, stability and peace. Millions of Muslim families worry about losing their young to religious and political extremism. In order to tackle this problem, new strategies to promote inter-faith dialogue as part of governance of cultural diversity, based on universal human rights, should be developed.  There is an urgent need for a long-term strategic approach to democratic governance of cultural diversity as well as for innovative policies at all levels. We can no longer afford to hide the various symptoms of a looming crisis within and among almost all societies that jeopardises the fundamental values and principles of respect for human rights and freedoms, of tolerance and dialogue.  This is the message I want to make clear. Because to achieve its mission, the Alliance relies on its members’ action.  To achieve its goals and implement them at local level where problems arise and have to be sorted out, the Alliance of Civilizations has called upon its members to develop National Plans and Regional Strategies for Inter-cultural dialogue covering its four main areas of action, i.e., education, youth, media and migration – this is why National Plans and Regional Strategies are key priorities of the Alliance of 2010.  These National Plans and Regional Strategies are underpinned by a long-term vision and an acute sense of urgency. Urgency because inaction can only aggravate the malaise whereas small changes in circumstances can produce big shifts in behaviour. This is exactly what we need: to generate a mind shift among divided communities.  National Plans are an invitation to countries to generate an internal process of ownership of the Alliance of Civilizations’ goals and aims. National Plans are intended to create concrete opportunities for countries to exchange experiences and lessons learned regarding the common challenge they face in dealing with increasing cultural diversity, new identity problems and conflicts within their own societies and among them. National Plans aim at helping countries to cope with this challenge and generate a new awareness at all levels of society.  Indeed this is a long-term, gradual exercise to be carried out by countries at different paces, using different roads.  Some countries are more advanced than others. They may want to go faster and build common roads. Other countries will take more time to be convinced of the need to manage the path of intercultural dialogue.  Some other countries want to draft National Plans on the basis of a top-down approach, others prefer a bottom-up process whereas another group seeks a combination of both, considering that cities and local governments play a central role in preventing and eliminating conflicts, as do other players such as for instance religious leaders and faith led associations.  Regarding now Regional Strategies, I am happy to remind you that the South East European AoC Regional Strategy was adopted at the Sarajevo Conference held on 14 December, 2009.  In a unique demonstration of commitment at the highest level to promote further neighbourly relations and to enhance regional cooperation aimed at strengthening bridges between people and communities by promoting intercultural dialogue, countries of South Eastern Europe held a conference under the banner of the AoC and agreed on a Regional Strategy on Intercultural Dialogue.  Ministers of Foreign Affairs from fourteen countries in the region, along with representatives of Spain and Turkey, as co-sponsors, Switzerland, Sweden (as EU Presidency) and Brazil (that will host the next annual Forum) as well and representatives of UNESCO, IOM, OSCE, the Council of Europe, the European Commission, the Regional Cooperation Council and the High Representative for the Bosnia and Herzegovina Office participated in the Conference.  They adopted a Declaration endorsing the principles, objectives and recommendations of the Regional Strategy for the South-Eastern Europe submitted at that occasion.  This Regional Strategy, presented and endorsed at that occasion, stresses the importance of addressing diversity issues, be they ethnic, religious and cultural, and aims to help overcome divisions and conflicts in the region. It emphasizes the need to prioritize regional action in the fields of education and youth, bearing in mind that media also plays a key role in building pluralistic, inclusive and cohesive societies and that migration, namely the integration of migrants, is an important area of action.  This Regional Strategy – the first ever adopted in the framework of the Alliance – is built on the pre-existing work carried out by countries, international and regional organizations and by other relevant players from civil society.  An Action Plan for 2010-2012 is now expected to be finalized and agreed in order to be presented at the 3rd Forum of the Alliance in Rio de Janeiro, Brazil.  Let me just add in this regard that the Sarajevo Conference was preceded by a ministerial, high-level working dinner the previous evening with the special participation of the Swiss Minister of Foreign Affairs, Mme Calmy Rey, co-hosted by Turkey and Spain, as co-sponsors of the Alliance, and the High Representative for the Alliance of Civilizations.  During dinner, Ministers had a very fruitful exchange of views on the Swiss popular initiative against the construction of new minarets. They all agreed on the importance of having a full and accurate understanding of the causes and the impact of the vote, and on the need to address with appropriate action the broader issue of widening rifts among communities and societies. They decided to make a follow up, namely in the framework of the Alliance of Civilizations.  I would not like to finish without briefly mentioning the challenges ahead.  The main priorities for the first half of 2010 are: to advance regional strategies in particular the AoC Regional Strategy for the Mediterranean; to assist countries, upon their request, in preparing and/or implementing National Plans; to develop and/or consolidate ongoing AoC projects; to consolidate the AoC as a global match-maker, broker and convener; to prepare the 3rd Forum of the Alliance, to be held in Rio de Janeiro, on 28-29 May 2010.  Indeed, until the Rio Forum, the preparation of the AoC Regional Strategy for the Mediterranean is one of the most challenging tasks ahead.  Following the Sarajevo “path”, at the 1st preparatory meeting hosted by the Egyptian Government in Alexandria (15-16 January), the Alliance suggested that Ministers issue a Declaration endorsing the Strategy, leaving for later – after the Rio Forum – the adoption of an Action Plan implementing the Strategy. The Alliance suggested drafting both documents on the basis of the Sarajevo model, notwithstanding the necessary changes and adaptations to be made.  During the 1st preparatory meeting delegations raised a number of issues that have to be sorted out in order to ensure the success of the March Conference.  Let us hope that we will find the appropriate ways to let the Alliance achieve its goals and avoid well-known dead-ends.  A second preparatory meeting will be held in Lisbon on 19 and 20 February which will focus on the discussion of the drafts circulated in the meantime.  There are other Regional Strategies in the pipeline but I do not think that we will be able to make real progress before the Rio Forum, so we will only be able to deal with them in the second half of 2010.  Let me just finish with some words on the 3rd Forum of the Alliance. I am very grateful to the Brazilian authorities for having accepted to host it in Rio because it offers a unique opportunity for the Alliance to look beyond the ‘Muslim-Western world focus’ and to address the issue of cultural diversity in a wider perspective.  The overarching theme of the Forum will be ‘The Alliance of Civilizations: Cultural Diversity as the Path to Peace’. A Ministerial meeting of the GoF will take place on the first day; a Youth event, various ‘tea sessions’ (equivalent to the Istanbul Forum breakfasts), a Focal Points meeting, as well as regular working sessions and plenary meetings will be organized both during core dates (May 28-29) and the day before the official opening (May 27). The working sessions will be clustered around the main topics of education, media and migration, which sometimes are combined with other cross-cutting issues such as urban change, employment, gender, history, politics, religions, conflict resolution and human rights.  Given that 2010 is the year of the Rapprochement of Cultures, the Alliance expects that the Forum, in particular the special session offered to UNESCO, will be a good opportunity to raise public awareness to the importance of preserving cultural diversity and promoting intercultural dialogue. Todos nós – sabemo-lo bem – vamos somando ao longo da vida momentos felizes que balizam as margens dos nossos percursos pessoais para comporem, aos poucos, um património muito íntimo de memórias e emoções. É o que comigo ocorre neste instante, ao agradecer a esta Universidade o gesto generoso de me conceder a sua mais alta distinção. E isto, porque é grande a honra e o orgulho por ela me ser acordada, pois representa o reconhecimento por uma Instituição ímpar da cultura portuguesa de que alguma coisa fiz de bem, guiado por causas e valores, no esforço de entender o meu dever de cidadão para com o país – nele e fora dele. Decerto que não esqueço a responsabilidade que esta honra me impõe; nisso pensava, ao transpor a emblemática Porta Férrea, recordando alguns vultos que me antecederam e que, como eu, aqui vieram recolher, nesta Sala magnífica, espelho da vossa grandeza, as insígnias que nos integram no Claustro ilustre dos Doutores da Universidade de D. Dinis. Ao meu júbilo deste momento acresce o facto de ter sido a Faculdade de Direito que propôs me fosse concedido este grau honorífico, dizendo deste modo que me escolhe como um dos seus. Jurista de formação, antes de optar por uma carreira política, manejei durante bastantes anos – com sempre relembrado prazer – leis, códigos e processos judiciais. Mas, nascido em Lisboa, foi outra a Universidade em que me formei, longe deste admirável Pátio das Escolas, do convívio dos Gerais, ou do trânsito diário pela Via Latina, espaços privilegiados de memórias que secretamente nos interpelam. E estas têm nomes imperecíveis, como o de Santo Antero a invectivar Deus, o de Eça a desancar provincianismos, o de Teixeira de Pascoaes a descobrir tons de elegia na paisagem lendária de Coimbra, ou o de tantos outros, a indicarem-nos afinal caminhos de inquietação, de livre crítica, de rebeldia, de modernidade, mas também de afectos e de exigências éticas. Estudantes em Lisboa, chegavam-nos nessa altura alguns ecos dos mestres de Coimbra que, à distância, e porque não havia ainda triunfado o tempo da imagem, conjecturávamos guardiões severos da secular tradição jurídica coimbrã, mas de quem cedo descobríamos, ao ler os seus textos, um dos marcos distintivos desta Escola: uma escrita límpida, apurada, num alinhamento preciso, criativo e rigoroso de ideias essenciais. Ao mesmo tempo, embora proclamássemos as vantagens do então débil cosmopolitismo da capital, idealizávamos a vida universitária de Coimbra, que pressentíamos assente nas suas Repúblicas, pátrias de liberdade e de romantismos fraternos, nas suas tradições e solidariedades, ou ainda nas suas históricas lutas académicas, que iriam regressar após 1945 e que, já nos finais dos anos sessenta, ajudariam a sacudir o regime pelo exercício corajoso da palavra, numa sempre lembrada inauguração aqui bem perto. Depressa, na minha vida profissional de advogado, estabeleci laços estreitos com a vossa Faculdade de Direito. Para trás haviam ficado as reuniões da RIA (essa escola de consciencialização política) que, mais de uma vez, me trouxeram a Coimbra; tratava-se agora de colaborar em reflexões e seminários sobre o direito, como no Verão de 66 relativamente ao direito internacional comparado, ou de, com frequência, vir aos graves gabinetes do Instituto Jurídico recolher pareceres e debater conselhos com alguns de vós. Assim fui tecendo uma malha sólida de relacionamentos, reencontrando, agora já respeitado professor, o António Avelãs Nunes, com quem havia conspirado na crise académica de 61/62, e que escolhi para me acompanhar nesta cerimónia; ou descobrindo depois a singular capacidade intelectual do Joaquim Canotilho, e as qualidades de muitos outros que agora me honram com a sua amizade e me ensinaram a admirar melhor esta Escola, onde se trabalham as questões jurídicas “o mais honradamente que fazer se pode”, como diria o cronista. Tudo isto explica as inúmeras ocasiões em que, instalado em Belém, aqui vim participar nas iniciativas desta Universidade, por sabê-la francamente aberta aos desafios do seu tempo; pelos mesmos motivos, iria abraçar com empenho pessoal a causa de reunir apoios mecenáticos para a construção (que espero se concretize em breve) de uma biblioteca condigna para o extraordinário acervo de obras da sua Faculdade de Direito. Do Curso, e da posterior prática da advocacia, retirei a experiência concreta do valor do direito como sólido método para a acção, e bem assim o imperativo de lutar por um bom exercício da justiça, na plena consciência deste ser o refúgio último de defesa dos cidadãos. Compreender-se-á assim que as minhas raízes académicas e profissionais me tenham levado, durante os meus encargos políticos, a insistir recorrentemente neste tema, que sempre considerei nuclear para o progresso político, social e económico de um país. Por isso, repetidas vezes chamei a atenção para vários pontos que careciam de resoluta abordagem, como a inaceitável morosidade dos procedimentos – que corrói junto do sentir colectivo a credibilidade do sistema judiciário; a necessidade do estabelecimento de uma exigente cultura de efectiva responsabilidade; a existência de um excessivo formalismo, propiciador de delongas pela utilização de recursos quanto a questões acessórias e instrumentais, assim se cavando um fosso de justiça a duas velocidades, conforme a capacidade económica dos litigantes; a conhecida realidade de frequentes adiamentos pelo uso, com finalidades dilatórias, de questões alegadamente constitucionais, tantas vezes num ritual impreciso de litigância de má fé; o benefício de melhor articular as tarefas entre os diversos pólos da investigação; ou a vantagem do adequado aproveitamento pelos tribunais das inovações tecnológicas, nomeadamente da via informática, a fim de se obter uma maior agilização e presteza dos actos. Valerá a pena repeti-lo: a reforma de um sistema de justiça é inimiga de imediatismos não raro assentes em eventuais pulsões políticas ou sociais; a sua solidez implica antes um processo longo, firmado numa ponderação imune a demagogias ou a apressadas alterações legislativas, necessariamente apoiado em qualificados recursos humanos e técnicos, sem o que será difícil dar resposta aos problemas que hoje confrontam as sociedades europeias, a braços com novas formas de conflitualidade ou de criminalidade. Mas tal não impede – e acabam de ser dados nesse sentido recentes sinais encorajadores – que se procure desfazer alguns nós de actuais bloqueios através de uma cooperação resguardada de interesses corporativistas, sempre avessos a mudanças, mobilizando para tanto as vontades, o saber, e as experiências de todos os responsáveis, num esforço orientado pelo bem comum da comunidade. E isto na consciência de que justiça que não seja célere gera impunidades, penaliza inocentes e enfraquece a autoridade democrática do Estado de direito, ao favorecer a deslocação para o julgamento da praça pública e para o ruído egoísta da exploração mediática o que caberia a uma responsável resposta dos agentes do sistema. Julgo que não, pois estamos aqui bem para lá de um simples exercício de soberania, já que neste domínio o que se encontra em jogo nas nossas sociedades é, afinal, o próprio cimento do seu progresso e desenvolvimento, ou, se quiserem, a defesa do cidadão, titular de liberdades, direitos e obrigações. Neste nosso mundo, e neste nosso tempo dividido entre sombras e claridades, nunca é demais falar nesta Casa sobre uma administração da justiça que seja não só trave estruturante do Estado de direito, mas constitua igualmente o esteio da comunidade internacional. Até porque, se começámos este século com as expectativas que desde sempre acompanham o render dos milénios, cedo percebemos ter aumentado significativamente o desenho das barreiras que põem à prova a nossa capacidade de intervenção na custódia dos valores garantes de um futuro de progresso humano. Adensaram-se problemas antigos, como o terrorismo internacional, agora pondo a descoberto o rosto mais implacável que lhe oferecem as novas tecnologias e o alastrar de irracionais fanatismos. Com ele nasceram novos medos, a favorecerem, em nome da segurança efectivamente ameaçada, respostas contraproducentes de derrogação de direitos individuais, que se acreditava – pelo menos em alguns Estados de exemplar cultura democrática – estarem ao abrigo de excessos do poder. Em paralelo, e não obstante a recorrente retórica de discursos oficiais, persistem em vários pontos do globo situações contrárias às normas que definem os ultrajes aos direitos humanos e revelam, numa nova geografia da crueldade deste nosso planeta, inaceitáveis omissões éticas e, bem assim, clamorosas falhas dos instrumentos responsáveis pela regulação da sociedade internacional. Encontramo-nos perante questões globais, numa terra cada vez mais moldada por interdependências, onde – como já advertia o poeta – nenhum homem é uma ilha isolada, pelo que mais do que nunca será escusado perguntarmos por quem os sinos dobram, mesmo se os seus ecos nos chegarem do longínquo Darfur ou do distante Médio Oriente. Vivemos numa comunidade complexa de nações e de povos, de regimes e culturas, onde os egoísmos nacionais ou as pretensões de poder têm impedido reforçar esse método antigo – o multilateralismo -, único caminho eficaz para conjugar múltiplos interesses e conciliar os diferendos do mundo globalizado dos nossos dias. Caberá recordá-lo, já que pela dinâmica igualitária da via multilateral terão voz os mais fracos; por ela se poderá melhor proteger a legalidade internacional; com ela se contrariarão impulsos hegemónicos; através dela se tornará possível dar passos positivos para impedir impunidades, como ocorre já nesta década com o funcionamento – mesmo que tímido – da primeira justiça penal internacional permanente. Decerto que esta aplicação de princípios democráticos às relações entre Estados, utopia generosa reforçada no inicio do pós guerra, regista hoje a erosão do tempo e das alterações do desenho do mapa internacional, extensamente alterado quanto ao número e à diferenciação relativa – em termos de poder, grandeza, e solidez organizativa – dos países que o compõem. Após um desastrado período de doutrinas favorecedoras de acções unilaterais que pouco escondiam certas vontades de domínio, assistimos agora a uma melhor reavaliação da prática multilateral, não obstante algumas tendências para uma preocupante emergência de fóruns de geometria favorável. Por isso, da segurança à economia, das questões ecológicas aos problemas sociais, da eficaz defesa dos direitos humanos a uma responsabilidade de ingerência humanitária, são várias as matérias que implicam uma obrigação política inédita de reformas urgentes para garantir a eficácia do futuro deste método diplomático nascido com a época moderna europeia. Reconheço, não me furto a dizê-lo, a profunda complexidade de uma tarefa que enfrentará orgulhos e interesses nacionais, ou deverá fazer face aos sempre renovados e diferentes jogos de poder; mas importa reclamá-la na consciência da necessidade de uma mais justa disciplina internacional fundada no império do direito. Trata-se de uma via urgente, pois a crescente diversidade das sociedades e das suas clivagens económicas, sociais, culturais e religiosas, está a ser acompanhada de inquietantes manchas de tensão, onde os mais pessimistas antevêem sinais de inevitáveis colisões civilizacionais. Importa assim – e esta tem sido a minha actual tarefa no quadro das Nações Unidas – restabelecer pontes entre as várias comunidades, mobilizar vontades políticas, promover um melhor conhecimento entre os Povos e, através de um intenso diálogo intercultural em que as Universidades poderão preencher um lugar de relevo, ousar enfraquecer as crescentes desconfianças, medos e preconceitos que vêm traçando uma inaceitável Carta mundial da intolerância. A nós europeus, que pela visão de Monnet conseguimos transformar os abalos suicidários da nossa história numa paz assente em inteligentes partilhas de soberania, cabe-nos a tarefa de procurar defender um novo e mais efectivo multilateralismo, instrumento adequado para os desafios políticos e éticos do presente século. Depois de quase uma década gasta em hesitações e querelas institucionais, aliás mal compreendidas pelos seus Povos a defrontarem problemas concretos de um quotidiano difícil, a União Europeia – dotada agora de alguns novos instrumentos de acção – terá de abandonar, face aos problemas mundiais, a navegação de cabotagem que tem caracterizado os seus últimos anos, e saber assumir o lugar de influência decorrente do seu singular património de valores, de experiências e de sucessos. Espelho claro das potencialidades de um multilateralismo efectivo e triunfante, abre-se agora um diferente desafio para o projecto europeu, pois com ele – e pela capacidade das suas lideranças – se jogará muito da sua relevância como actor indispensável e determinante neste mundo composto por uma muito incerta ordem internacional. Habitamos uma idade moldada pelo sistema de comunicação em rede que agora nos serve – e influencia muitas das nossas atitudes – ao comprimir profundamente as dimensões do espaço e do tempo em que vivemos e no qual todos nos tornámos vizinhos. Reconheço ser esta uma referência que estimarão redundante, pois por todos apreendida no seu quotidiano. Mas recordo-a apenas para insistir serem agora diferentes a nossa responsabilidade individual e as nossas obrigações de cidadania, já que nos está vedado invocar – como tantos fizeram no século passado – o velho álibi do desconhecimento de procedimentos arbitrários e de situações contrárias à nossa humanidade. Aliás, apesar de alheamentos vários, vai-se formando uma opinião pública transnacional – é certo nem sempre lúcida ou sequer imune a desonestas finalidades – que começa a compreender o seu papel escrutinador face às omissões daqueles a quem cabe decidir, ou mesmo apenas influenciar, o estabelecimento de instrumentos internacionais de entendimento ou o lançamento de iniciativas garantes de uma melhor condição humana. E isto, porque nunca como hoje terá sido tão evidente, como norma inspiradora e vinculativa de comportamentos, a velha máxima latina, ao advertir-nos de que nada do que é humano nos deverá ser estranho. E ao dizê-lo, neste momento para mim tão particular, penso em tantos para quem esta Universidade foi “alma mater” e que, pelo exemplo das suas intervenções públicas, ou meramente no anonimato das suas vidas, mostraram ter sabido aprender esse imperativo e, posteriormente, cumpri-lo como grata obrigação. É meu padrinho nesta cerimónia o Doutor António Avelãs Nunes, que há anos aqui fez, em cerimónia idêntica a esta, o meu elogio enquanto padrinho do senhor Presidente da República de Cabo Verde, Doutor António Mascarenhas Monteiro, e que hoje garante, diante da sua Universidade, ser eu merecedor de que me seja concedido, honoris causa, o grau de Doutor em Direito. Ao Doutor Manuel da Costa Andrade – autor de uma obra que prestigia o direito português e cujo último livro, sob um título enganador de ressonâncias cinematográficas, constitui notável exercício de inteligência crítica – cabe a tarefa de fazer valer os meus merecimentos perante V. Exª e o Claustro dos Doutores aqui reunido. Confio em que o prestígio do Doutor Avelãs Nunes e os méritos e realizações minhas, que a benevolência e a amizade do Doutor Costa Andrade conseguirem descobrir em meu abono, sejam argumentos bastantes para justificar resposta positiva de V. Exª, Magnífico Reitor da Universidade de Coimbra, ao pedido que agora formulo de que me seja concedido o grau de Doutor Honoris Causa pela Universidade de Coimbra e me sejam impostas as respectivas insígnias doutorais. Doutoramento foi proposto pela Faculdade de Direito e é um reconhecimento pela relevância nacional e internacional alcançada e pelo empenho na defesa dos valores humanos e do Direito. O antigo Presidente da República Jorge Sampaio, que exerce actualmente os cargos de Alto Representante da ONU para a Aliança das Civilizações e de Enviado Especial do Secretário-Geral da ONU para a Luta Contra a Tuberculose, vai receber o grau de Doutor Honoris Causa pela Universidade de Coimbra, no dia 24 de Janeiro, numa cerimónia que decorrerá na Sala dos Capelos (Sala Grande dos Actos), a partir das 10H30. Será apresentante António Avelãs Nunes, cabendo a Manuel da Costa Andrade fazer o elogio do candidato e a Rui Figueiredo Marcos o elogio do apresentante. Todos são docentes da Faculdade de Direito da Universidade de Coimbra (FDUC). Com a atribuição deste título, a Universidade de Coimbra destaca o relevo alcançado por Jorge Sampaio em Portugal e no estrangeiro no exercício de variados cargos, como foram, além dos já referidos, os de membro do Governo, deputado, Presidente da Câmara Municipal de Lisboa ou membro da Comissão Europeia dos Direitos do Homem no Conselho da Europa. É ainda reconhecida a forma como sempre defendeu os valores do Homem e do Direito, quer através da sua presença na vida social e política desde os seus tempos de estudante universitário, quer através da forma como exerceu a profissão de advogado. A Universidade de Coimbra assinala ainda a relação de Jorge Sampaio com a FDUC, marcada pela permanente disponibilidade do novo Doutor Honoris Causa em participar em iniciativas da Faculdade, pelo empenho pessoal no processo que levará à construção da nova Biblioteca da FDUC e por diversas referências elogiosas ao trabalho desenvolvido no campo da investigação e do ensino. Jorge Fernando Branco de Sampaio nasceu em Lisboa, em 18 de Setembro de 1939. Em 1961 licenciou-se em Direito pela Faculdade de Direito da Universidade de Lisboa, onde desenvolveu uma relevante actividade académica, iniciando uma persistente acção política de oposição à ditadura. Deu, entretanto, início a uma intensa carreira de advogado, que se estendeu por todos os ramos de Direito, tendo um papel de relevo na defesa de presos políticos no Tribunal Plenário de Lisboa. Manteve-se interventivo politicamente após o 25 de Abril, sendo eleito pela primeira vez deputado à Assembleia da República em 1979, ano em que passou também a integrar a Comissão Europeia dos Direitos do Homem no Conselho da Europa, cargo que deixaria em 1984. Foi secretário-geral do Partido Socialista entre 1989 e 1991, e ainda Presidente da Câmara Municipal de Lisboa entre 1989 e 1995. Eleito Presidente da República em 1996, foi reeleito em 2001, ocupando o cargo até 2006. Em Maio desse ano foi designado Enviado Especial do Secretário-Geral das Nações Unidas para a Luta contra a Tuberculose e, em Abril de 2007, nomeado Alto Representante para a Aliança das Civilizações. É Grande-Colar da Ordem da Torre e Espada, do Valor, Lealdade e Mérito e da Ordem da Liberdade e Grande-Oficial da Ordem do Infante D. Henrique. Recebeu ainda diversas condecorações estrangeiras e outras distinções, entre as quais o Prémio Europeu Carlos V.
Dadas as características da cerimónia de Doutoramento, não será permitida, após o seu início, a circulação de pessoas na Sala dos Capelos, pelo que fotógrafos e operadores de câmara que pretendam acompanhar todo o evento devem estar nos respectivos lugares, dentro da Sala, até às 10H15. Para aqueles que pretendam apenas fazer recolha de algumas imagens, estará reservada uma janela frontal para a Sala. A Universidade de Coimbra é uma referência incontornável no panorama do Ensino Superior em Portugal, pela qualidade reconhecida do ensino ministrado nas suas oito Faculdades e pelos avanços que tem permitido em várias áreas do conhecimento, em Portugal e no mundo. Não só esta universidade constitui um verdadeiro ícone de Portugal no estrangeiro, como prossegue, em diversas frentes, esforços de melhoria constante que lhe permitem continuar a afirmar a qualidade do seu trabalho, em ligação com organizações multinacionais e internacionais. NEW YORK, December 10th 2010 – In a unique demonstration of commitment at the highest level to promote further good neighbourly relations and to enhance regional cooperation aimed at strengthening bridges between people and communities by promoting intercultural dialogue, countries of South Eastern Europe will come together under the banner of the UN Alliance of Civilizations to agree on a Regional Strategy on Intercultural Dialogue. Ministers of Foreign Affairs from thirteen countries in the region, along with representatives of Spain, Turkey, Switzerland, Sweden (as EU Presidency) and Brazil (that will host the next annual Forum), will meet on Monday, December 14th, in Sarajevo, to agree on a framework to implement a range of concrete actions in the field of education, media and youth aimed at fostering intercultural understanding in the region. This event will bring together a unique combination of partners: Governments, International Organizations (among them UNESCO, the International Organization for Migration, the Organization for Security and Cooperation in Europe, the Council of Europe, the Regional Cooperation Council and the European Union) and a wide range of civil society organizations will be working hand in hand, developing a comprehensive approach to building inclusive societies, based on democratic governance of cultural diversity. The Sarajevo meeting will set the tone for enhanced regional cooperation focusing on the key areas of work of the UN Alliance of Civilizations, in particular youth, education and media. The joint strategy that will emerge from the meeting will focus on the need to increase education opportunities, providing youth people with the skills and knowledge they need to navigate an increasingly intercultural world. It will draw on the ideas and energy of young people, empowering them to develop their own cross-cultural initiatives. This joint strategy will also build on the strength of media and the power it has to shape attitudes and increase people-to-people communication through online networks. Finally, it will address the challenges of migration and will strengthen the role of women in creating opportunities for cross-cultural cooperation. The Sarajevo meeting will also be an opportunity for countries in the region to strengthen their commitment to developing National Plans for Intercultural Dialogue, increase regional exchanges on good practices in promoting intercultural understanding, and promote the participation of a broad range of partners to enhance regional cooperation, including local governments, cities, civil society organizations, the corporate sector, universities, faith-based organizations, youth and the media. The United Nations Alliance of Civilizations was established in 2005 at the initiative of Spain and Turkey, under the aegis of the United Nations. It seeks to build trust and understanding across cultures and communities worldwide. Working with its global network of government partners, the Alliance promotes policies and initiatives aimed at improving relations between diverse cultural groups. It also works at grassroots level, promoting innovative projects in education, youth, media and migration in order to build trust, reconciliation and mutual respect among diverse communities. Prof. Dr. Joseph Mifsud, president of the Euro-Mediterranean University (EMUNI), Mrs Gabriella Battaini-Dragoni (Coordinator for Intercultural Dialogue for the Council of Europe), Ambassador José Lindgren Alves (representative of Brazil), Ambassador Stefan Lehne (Austrian diplomat). 11: 00 – 12:15 Presentation of the Sarajevo Declaration and the Alliance of Civilizations’ Regional Strategy for Southeast Europe followed by Ministerial Statements by Protocol order (5 minutes each – all Ministers in the podium). Action Networks are small targeted sessions intended for participants who want a deeper discussion on a specific topic and who want to identify like-minded partners within that topic area; these sessions also provide partnership-building opportunities for participants with shared interests and offer approaches for best practices. Respondents –Nr Nenad Sebek (CDRSEE, Center for Democracy and Reconciliation in Southeast Europe), Ms Joke van der Leew-Roord (EUROCLIO), Dr. Georg. Stöber (Georg Eckert Institute, tbc), Mr. Mladen Dragesevic (Regional Cooperation Council), Lejla Mazlic. (Human Rights House Sarajevo), Katerina Stenou (UNESCO). Respondents: Ms Jelena Spasovic (Advisory Council of Youth, Council of Europe), Mr Jasmin Jaraseciv (PRONI Center for Youth Development), Mrs Irina Vassileva (Vifralie Programme), Ambassador Elshad Iskandarov (ICYF-DC), Mrs Zagorba Aksentijevic (GRUPA 484), Ms Linda King (UNESCO). Respondents: Mrs Sanela Fezic (JU Gimnazija Vaso Pelagic BRCKO), Sara Piteira (Executive Director of Dialogue Café), Mrs Galina Shtarbeva (Re inventing the Balkans), Mrs Lucica Humenuc (Romania Independent Society of Human Rights), Dr Calin Rus (Intercultural Centre), Juan Carlos Antunez (Civil consultant EUFOR ). December 1, 2009 – Nairobi, Kenya – The United Nations Secretary General’s Special Envoy to Stop Tuberculosis (TB) is visiting two African countries in a bold initiative to fight the spread of one of the biggest killer diseases on the continent. The mission is organized by the Stop TB Partnership in close collaboration with UNAIDS. Dr. Sampaio, who is also a former President of Portugal, is asking key stakeholders including governments to take an active role in helping people in need to gain access to accurate TB diagnosis and effective treatment. The five-day official visit in the region will see Dr. Sampaio visit Ethiopia and Kenya. TB is a major health issue in Africa and kills nearly two million people every year around the world–even though it can be cured with a six-month course of drugs that costs only US$ 20. Dr Sampaio has reiterated his request to Ministers of Health in Africa to set ambitious national targets and mobilize the funding necessary to reduce the number of people living with HIV who die unnecessarily of TB. He made the initial request at a Special Ministerial Session on TB in Kigali, Rwanda two months ago. Dr Sampaio’s visit to Kenya coincides with World AIDS Day, which is marked annually on December 1 across the globe. In Nairobi, an educational workshop for school children will focus on various aspects of the disease including its prevention and treatment. Mr Wilfried Lemke, the UN Secretary-General’s Special Adviser on Sports, Development, and Peace will also be on hand and join Dr Sampaio at a football tournament for boys and girls aged 12 to 14. The tournament, which will be held at Mathare Depot field and feature 24 seven-a-side teams, is aimed at creating more awareness about TB through sports. The initiative has been organized in partnership with the Government of Kenya, through the Ministry of Health, Mathare Youth Sports Association and Vijana Amani Pamoja. Alive and Kicking and Street Football World are among other organizations engaged in the event. The Stop TB Partnership will distribute an educational comic book featuring the international Portuguese football star and Stop TB Ambassador Luìs Figo as the main character. The comic book–which targets children and young adults with key information on tuberculosis–will be distributed to children and the media at the football event. Figo was the 2000 European Footballer of the Year and 2001 FIFA World Player of the Year. Dr. Sampaio’s visit will provide a follow up to the implementation of his Commitment with the Clinton Global Initiative, which is aimed at increasing the engagement of global leaders in the fight against TB/HIV. Dr. Sampaio is also expected to ask National AIDS Councils to systematically integrate TB in their programmes as one of the objectives of his visit. Dr. Sampaio’s visit will also help support the establishment of an African Leaders Tuberculosis Alliance with the main goal of fostering collaboration among African countries to build up common strategies to avoid an epidemic of drug-resistant tuberculosis. In Africa, TB is the leading killer of people living with HIV and this visit comes nearly four months before the World TB Day which is held each year on 24 March. There are nearly nine million new cases of TB worldwide. 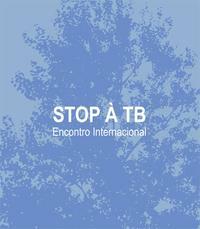 The Stop TB Partnership, which is hosted by the World Health Organization. Stop TB consists of more than 900 international organizations, countries, donors from the public and private sectors, and non-governmental and governmental organizations working together to eliminate TB. The Partnership’s Global Plan to Stop TB (2006-2015) sets forth a roadmap for treating 50 million people for TB and enrolling 3 million patients who have both TB and HIV on antiretroviral therapy over the next 10 years, saving about 14 million lives. It aims to halve TB prevalence and deaths compared with 1990 levels by 2015. In September 2008, Dr Jorge Sampaio, spoke at the 2008 Annual Meeting of the Clinton Global Initiative and urged participants to intensify their commitment to collaborative action on HIV and TB. Dr Sampaio formally endorsed a Commitment with the Clinton Global Initiative to aim at increasing engagement of global leaders in supporting the coordination of TB and HIV services and ensure that their Ministries of Health implement nationwide programmatic scale up and capacity building for these combined services. In order to implement the Commitment on TB/HIV, Dr Sampaio asked the Regional Director of the WHO Regional Office for Africa to include a special ministerial discussion on tuberculosis at the 59th Regional Committee with the aim of assessing progress in the implementation of the Maputo Declaration and agreeing on the next priority steps to advance the fight against TB and TB/HIV in the Region. The Special Session was held on 3 September 2009 in Kigali, Rwanda, and introduced by the Chair, the Hon. Minister of Health of the U.R. of Tanzania. Key note speeches were delivered by the Regional Director of the WHO Regional Office for Africa and Dr Sampaio himself. Dr Sampaio inspired the audience with a powerful address highlighting the economic, social and personal burden of TB in the continent, the threat of MDR-TB in settings of high HIV prevalence and the engagement of African leaders needed to make concrete progress. He also focused on the special impact of in women. 2. Mobilize HIV-affected communities, broader civil society and the private sector for a response to tuberculosis; and educate and empower them to become active partners in the prevention, diagnosis and treatment of TB. 3. Support the establishment of an African Leaders Tuberculosis Alliance with the main goal of fostering collaboration among African countries to build up common strategies to avoid an epidemic of drug-resistant tuberculosis. 4. Target action to deliver world-class TB services through strengthened primary services. The meeting was attended by delegations of all the 43 Member States of the WHO African Region. Ministers or representatives of Malawi, Benin and South Africa shared with participants the challenges they are confronted in their countries to tackle TB and TB-HIV epidemics, underlining progress and shortcomings as well main difficulties they face. Prime Minister Recep Tayyip Erdoğan of Turkey, President of the Government of Spain José Luis Rodríguez Zapatero, UN Secretary-General Ban Ki-moon, and President Jorge Sampaio, High Representative for the Alliance of Civilizations are among the public figures who will convene in Istanbul to help bridge the growing divide between nations and cultures worldwide, and to establish new partnerships that further global intercultural dialogue. Hosted by the Government of Turkey, the Alliance of Civilizations’ Istanbul Forum will bring together a powerful network of global leaders, heads of international organizations, corporations, media, foundations, civil society, religious groups and youth to forge partnerships aimed at building substantive interaction between diverse communities and strengthening trust and reconciliation across cultures. • A compilation of reflections by the High Representative on his two-year experience at the helm of the Alliance as well on his outlook for the future. • The AoC Rapid Response Media Mechanism, an online resource featuring experts on intercultural issues whom the media can turn to in times of international crises. • The Alliance of Civilizations Clearinghouse, an online educational tool on multiple issues aimed at improving cross-cultural understanding; two new clearinghouses – on education about diverse religions and beliefs and on global initiatives to mobilize young people toward advancing intercultural understanding – will be launched. • The results of the AoC Youth Solidarity Fund will be showcased: innovative youth-led projects aimed at building bridges across diverse cultures. • A range of project-specific working sessions that will convene policy-makers, international organizations and civil society to share lessons on best practices and develop joint work platforms. • A unique Marketplace of Ideas to showcase the most innovative and successful grassroots projects aimed at transcending cultural divides and building peace. Information about the Alliance of Civilizations Forum is available at http://www.unaoc.org/. The Alliance of Civilizations (AoC) aims to improve understanding and cooperative relations among nations and peoples across cultures and religions and, in the process, to help counter the forces that fuel polarization and extremism. It was established in 2005, at the initiative of the Governments of Spain and Turkey, under the auspices of the United Nations. In April 2007, the United Nations Secretary-General appointed Jorge Sampaio, former President of Portugal, as High Representative for the Alliance. The AoC is supported by a Group of Friends – a community of over 90 countries and international organizations and bodies. In the unequal and often disappointing course of our world there are times when men atone for their sins and conflicts by forging paths that promote solidarity and greater ethical demands. This was the case when the United Nations General Assembly adopted the universal Declaration of Human Rights, providing a modern and universalistic body for the old founding documents of American independence and of the French constituents of 1789. With it a new era began. Although devoid of direct binding power its text would serve as the decisive basis for later legal efforts that through new documents, duties and execution mechanisms have attempted to outline a face of greater justice and more effective responsibility for the international community. The “European Centre for Global Interdependence and Solidarity, the North-South Centre”, an auspicious creation of the Council of Europe, can by virtue of its objectives, functioning and peculiar decision-making process, be included in the direct lineage of those same concerns to improve mankind, so evident in the name itself. So, I am understandably proud to receive this award, greatly enhanced by my gratification at sharing the distinction with Her Majesty Queen Rania of Jordan, whose outstanding efforts to bring cultures closer together have today received just recognition. In the face of this honour I would like to proffer a personal note. I belong to a generation of Portuguese who from their young days and due to our domestic situation accompanied with particular expectations the legal developments of the various forms of human rights, from political and civil to economic, social and cultural. Later, both for professional and civic reasons, I defended their breach in the law courts of the dictatorial regime, or took part in initiatives that denounced the offences perpetrated by the national authorities of those unhappy times. All this explains the particular memory I will cherish forever: that of being, five years after the restoration of democracy, the first Portuguese representative at the Human Rights Commission of the Council of Europe, immediately after Portugal ratified the Convention, at a time when tension between the two ideological blocs still fractured our continent. Now, because of this award, I have reencountered today memories of old battles that helped mould my life. Today, and that is no doubt the reason behind this generous award, I am committed to and fully engaged in two other struggles for human dignity. Although on different planes these are based on identical principles of solidarity and on the promotion of understandings. At the distinguished charge of the United Nations it befalls me to help raise awareness to the urgency for a more collaborative fight against the growing scourge of tuberculosis. In another sphere I work to promote the dialogue between peoples of different cultures and faiths which, by means of an alliance in the noblest meaning of the word, will improve the ambiguities and some of the mistakes made due to the reducing theory of the clash of civilizations. In both cases we are fully immersed in one of the goals of the North-South Centre: mobilization towards greater awareness by political leaders and civil society to global problems by promoting policies geared to a more ambitious interpretation of human rights. The plain but still widely disregarded truth that the real wealth of a nation lies in its people is often repeated, so that effective development will require appropriate health care systems, its condition being a privileged indicator of the progress of nations. Unfortunately, the asymmetries of wealth and of access to public goods that continue to characterize our times show that economic and social factors are decisively projected on the grim world geography of disease, epidemics and exclusions. In this framework, through my many contacts, namely in sub-Saharan Africa, I have been able to witness the terrible and destructive power of tuberculosis. Despite the progress made in treatment, the new outbreaks reveal not only a terrifying persistence, but have also moved into new areas and made new victims with dire consequences on the social cohesion of vast communities. It is therefore vital to insist on this subject that is so often marginalized, and to ask that it receive greater attention with more solidarity, – as this is a problem that by its very proportions exceeds its immediate political and medical nature to become an undeniable ethical issue. In the other sphere of my current responsibilities, with the Alliance of Civilizations, the aim is to start from what is inherent to human societies – the amazing diversity of civilizations and cultures – and, on the fertile road of mutual interaction so finely recorded by historical memory, encourage conviviality and exchanges – both of information and of experiences – in order to establish collective action strategies leading to greater peace, more respect for differences and greater progress. As our period of intervention is short we must insist on remembering that the challenges of the varied interdependencies that beckon us in a world become by force of technology an immense global village, has never been so ample, diverse and harsh. Hence the world financial and economic crisis we are currently experiencing – and with it discovering a parallel crisis of values – has underlined the need to respond to the global problems of our times through greater cooperation between States, structured on the open, democratic principles of responsible multilateralism. To do that we should remember that the credibility and effectiveness of this indispensable diplomatic method will depend on the long-planned but continuously postponed urgent reforms by the recurrent selfishness of States. Miguel Torga, a Portuguese writer accustomed to looking beyond the horizon, wrote that “The Universal is the place without walls”. Let us follow his example and in line with the praiseworthy objectives of the North-South Centre, demolish the many walls that endanger our duties of solidarity and obstruct possible paths of concord.